Makes me instantly think of the Beatles Album Yellow Sumarine, so seventies. But in a lovely way, like the silhouette of the girl and boy. I find the font choice is unfortunate, for one they clash with each other (IMO) and the font for the tile is just - I don't know, too familiar, looking to eBookish. The picture is fun in a way, but in a rahter nondescript sort of way I'm afraid. I doesn't tell me much and neither does it really animate me to find out what the story's about. I appreciate your opinion. Thanks! Thanks for your opinion, Linda. It does make me stop and re-think! I always love hearing from you! I think I probably need to stay with the animated covers, (consistency) but I'm just not sure as of yet! Thanks for your help! Hi! My name is Rachel, I unfortunately had never come across your books before today. 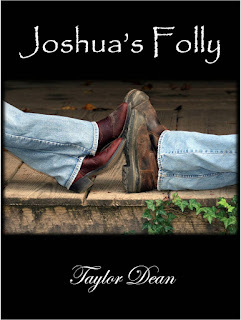 I found your site on the Kindle giveaway and I LOVE your animated covers. If I am being honest, I like the new cover better. The old one reminds me of a free Kindle book (not that there is anything at all wrong with that, I download free books constantly) and I think the new one looks very professionally done. The other thing about the old cover is that to me it implies that it is a totally different type of book than what you normally right since, as you said, it's not consistent. Besides all of that, I just like the new cover - just a feeling it gives me, I guess. Your daughter is very good at what she does. All of your covers make me want to pick up a copy, without even knowing what they are about, and start reading them right now. However, I am kinda stuck with free books right now due to my current circumstances. If I am ever in a place to be able to buy books again, I promise some of the first ones I buy will be yours. I am not into the steamy stuff at all and good, clean romance is hard to find. I truly look forward to being able to read your novels someday! Hi Rachel! Thank you so much for your comment. I LOVE to hear from readers! I'd LOVE to send you a free ebook. 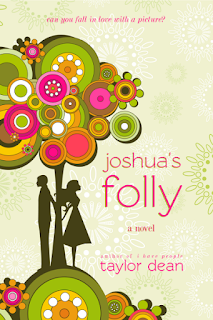 Just choose which book you'd like to read, and send me an email at taylordeanbooks[at]gmail[dot]com. All I ask in return is a review on Goodreads and Amazon! When a reader expresses a great desire to read my books and also expresses a love for clean romance, I can't help but respond! I'm glad you like the new cover for Joshua's Folly! I look forward to hearing from you! This is so funny (not really haha funny) but I just went on Goodreads to add your book "I Have People" and after I put it on my "Want to read" list, I clicked on your author name and I already had Sierra and The Middle Aisle on my "To read" list from when I entered and lost your Firstreads giveaways for those books! I just thought that was kinda funny. Anyway, I just had to stop back by to say that. Thanks! Wow that is so generous, thank you! After I get my daughter fed and bathed I will decide which one and send you an e-mail! Thank you so much! That is really funny, Rachel! It's the wonderful thing about Goodreads; you always have a list of what you want to read and you don't have to remember it! So glad the Giveaways caught your eye! I love the new one! Super cute and I would be more likely to reach for a book with that kind of cover on it. Thanks, Maddie! I'm so glad to hear that! The feedback helps me tremendously! Great to hear from you! Hope you're doing well! Miss you!